A mouth guard is a thick, often spongy shield that fits over your teeth. Mouth guards are usually worn during sports and other activities that involve a high risk of impact to the face. They can be helpful outside of sports too. For instance, you might need to use a specialist mouth guard for jaw issues or teeth grinding. Dentists sometimes use special types of mouth guards to help treat snoring or sleep apnoea as well. At Beach Smile Dental in Redondo Beach we have a passion for sport, whether it’s playing soccer, baseball, beach volleyball, surfing, skateboarding or cycling on a long, open road. There’s a thrill that appeals to sport lovers, but the spills can be devastating. Whether it’s a collision on the field, a tumble on a street or equipment failure – the risk of contact to the face and teeth is an ever-present danger. To minimize this risk, it’s a good idea to wear a mouth guard. According to the American Dental Association (ADA), about one-third of traumatic injuries to teeth are sports-related. Sports Medicine Association America suggests that 50% of children experience some form of dental injury. The good news is that injuries can often be prevented by using a custom-fitted mouth guard every time you play or train. How can a mouth guard help? Mouth guards act as a buffer for these kinds of impact. The spongy material helps to absorb the shock and lessen the force applied to your teeth, jaws or skull. When to wear a mouth guard during sport ? Mouth guards should be worn during games and training. Basically, it’s best to wear a mouth guard any time there’s a risk of impact to your face.Dental Sports Medicine and the American Dental Association recommend that regardless of whether the sport you play is considered a ‘contact sport’ or not, you’re encouraged to wear a mouth guard any time you’re on the field1. Custom-fitted: Constructed and fitted by a dental professional, a customized mouth guard provides the best protection for your teeth. The dentist takes an impression of your teeth and makes a plaster model to get the perfect fit. The mouth guard needs to be at least 4mm thick, with a cushioning effect that provides protection against impact. It fits snugly so it’s still possible to talk – an important aspect during an intense match. Boil-and-bite: Over-the-counter mouth guards that are self-fitted by immersing in hot water then biting into the mouth guard so it takes the shape of the teeth and mouth. It’s less effective and can be more uncomfortable as it doesn’t conform as well to the person’s bite and anatomy of the jaw. However, if that’s all that’s available when you need it, it’s better than no mouth guard. Will a mouth guard affect my performance? For custom-fitted mouth guards, the answer is no. Various studies have explored mouth guards’ effects on athletic performance. Most research points to there being no negative impact on strength or performance 2,3. However, some studies did report negative effects when wearing boil-and-bite mouth guards because of discomfort or breathing difficulties 4. A poor fit is usually the culprit in these cases. This is another reason why it’s important to invest in a custom-made mouth guard. Cost will come down to the type of mouth guard you choose. Boil-and-bite mouth guards can cost anywhere from $5 to $80.Custom-fitted mouth guards are more costly. A custom-fitted mouth guard is like a type of insurance – if a player doesn’t have protection but has a dental injury, dental and hospital costs are likely to exceed the cost (and time) of getting a custom-fitted mouth guard. How to care for your mouth guard ? After using a mouth guard, rinse it in soap and warm water, then allow it to air-dry. Also, use a mouthwash occasionally to disinfect it. When not in use, it should be kept in a cool place and stored in a plastic container with vents that allow air to circulate. If your child isn’t keen on the idea of wearing a mouth guard, it can be helpful to point out sports idols who wear one. Most popular sports have star players who wear mouth guards. For example, LeBron James and other American NBA players are often spotted with their mouth guards. Mouth guards can prevent dental injuries regardless of your age, so it’s important for athletes of all ages to consider. Make sure your mouth guard is in good condition. 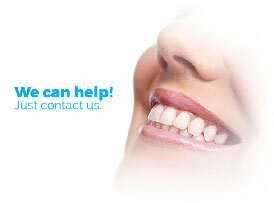 To be certain, ask your dental professional to inspect it during a check-up. If it’s been damaged when playing, it may need to be replaced. If the mouth guard is in tip-top condition and you don’t experience any major dental work such as restoration, it can last for quite a few years. When it comes to kids’ mouth guards, they need to be replaced every 12 to 18 months due to the child’s growth and any new teeth that alter the fit. Remember, if a mouth guard starts to feel uncomfortable or doesn’t fit well, see your dentist for help. Mouth guards and bite appliances are available to reduce wear or damage to teeth. The two most common ways people damage their teeth are from sports injuries and (teeth grinding). Sports injuries can happen in a split second, and for people with bruxism, the damage occurs over time, cracking fillings, chipping enamel, and wearing down and loosening teeth. Luckily, there are ways to combat this damage. For patients who play sports or participate in other physical activity, custom-made sports guards are a great investment. Made of flexible plastic and specially fitted to your teeth, a sports guard acts as a shock absorber, taking the force of any sudden injury to your mouth and protecting your teeth, jaw, and head. Bite appliances are also made from flexible materials custom-fitted to your jaw, and prevent you from grinding your teeth together, halting the damaging effects of bruxism. Modern bite appliances are comfortable and effective, and last from three to ten years. If you think a guard might be right for you, ask Dr. Parducho in Redondo Beach about your options. she will take an impression of your teeth, and the lab will create your custom piece. If you play sports or notice your jaw is sore after sleeping, let Dr. Parducho know – you’ll be glad you did!